The Pokémon Company International and Nintendo today introduced the Legendary Pokémon Solgaleo and Lunala that can be found in Pokémon Sun and Pokémon Moon. 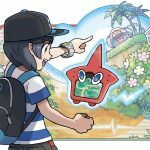 The latest generation of Pokémon video games will launch in North America on November 18th and in Europe on November 23, exclusively on the Nintendo 3DS family of systems. 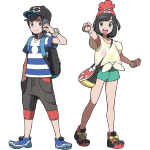 In addition to the details about these powerful Pokémon, new characters in the game and new features were also revealed. Honored as an emissary of the sun since ancient times, Solgaleo is referred to with reverence as “the beast that devours the sun.” Solgaleo’s body holds a vast amount of energy, and it shines with light when it is active. It has a flowing mane with a remarkable resemblance to the sun. Its signature move is Sunsteel Strike, an attack that charges at an opponent with the force of a meteor, disregarding the target’s Ability. 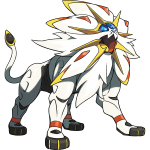 Solgaleo’s Ability is Full Metal Body, a new Ability that no previous Pokémon has had. 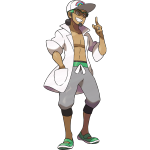 With the Full Metal Body Ability, a Pokémon’s stats will not be lowered by the effects of an opponent’s moves or Ability. 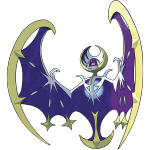 Since ancient times, Lunala has been honored as an emissary of the moon. 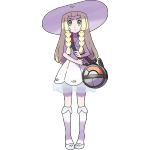 Referred to with reverence as “the beast that calls the moon,” Lunala is constantly absorbing light and converting it into energy. With its wings spread to absorb the surrounding light and glittering like the crescent moon, it resembles a beautiful night sky. Lunala’s signature Moongeist Beam attack releases an ominous beam of light that disregards the target’s Ability. 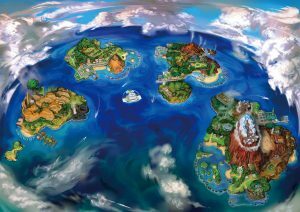 Pokémon Sun and Pokémon Moon take place in the Alola region, which centers around four tropical islands and one artificial island. 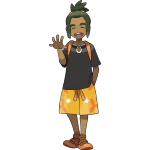 Many Pokémon that have never been seen before inhabit the lush islands of the Alola region. 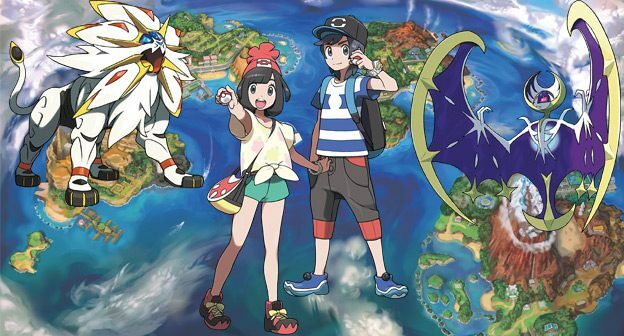 The story begins right after the main character moves to the Alola region. After choosing to play as a hero or heroine, players can customize their character’s name and appearance. No sooner have they arrived than their adventures begin to unfold, and they meet many fascinating people as they travel through the region.